Street art embodies an ephemeral quality that is there one instant and gone the next. Some of the most well-known street art pieces are taken down because they are on private property, but there are several cities around the world that are known for having great street art. You often have to look around alleys and hidden streets to find it, because no one wants to get caught. But, if you catch a glimpse of an graffiti masterpiece, then you will feel the magic brimming inside you. New York is a great place for street art. You will often find some amateur designs, but every now and then you will find a piece done by a true master. Most people say that the lower West side is the best place for street art, but the underground art movement is always changing its habits to keep from getting caught. Be sure to have a camera ready, because these pieces are usually taken down fairly quickly. Berlin doesn’t have the same strict view of street art that America does. While a good amount of it is taken down, there is usually more left up if the piece deserves artistic merit. There are actually street art workshops that show you all the famous places for street art, and you are even invited to make your own. Both amateurs and professionals are invited. 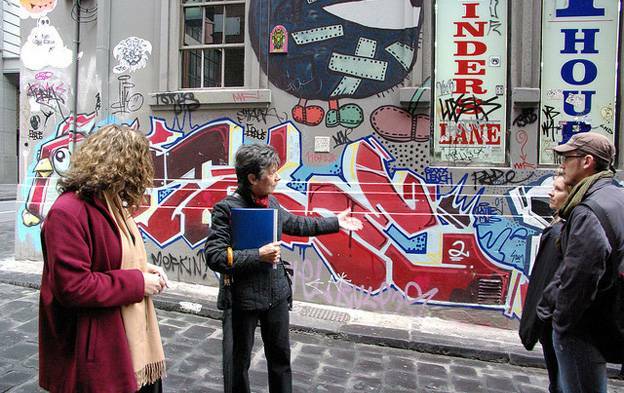 Here you can find the “Melbourne Street Art Tour.” This tour is operated by many of the same artists who made the pieces you will look at during the tour. This is a great experience, because you won’t miss a single image while going through the hidden alleys and streets to find the best street art the world has to offer. You can sometimes see the artists making designs, which gives a special quality to the piece. Seeing it before it is finished gives you that rare glimpse that few street art admirers really get to see. Don’t forget to kick back and share a beer with some of the artists. While there are some street art tours found in London, they aren’t quite as large or expansive as the Melbourne and Berlin ones. You will often have better luck going around the city and find the street art on your own. Talk with the people there and try to find places where street art is commonly made. London is a busy city, but you can usually get glimpses of the best street art in the world by just walking around and looking for it. Look for bustling art centers, because most of the people there will know where the best street art is. Every September, the city of Stavanger holds its own festival called the Nuart. This festival is a gathering of underground artists that celebrate the graffiti and post-graffiti time periods. You can usually find street artists making murals on brick and buildings, and there are usually workshops for others to get in on the action. If you are an aspiring street artist, then this is a great festival to attend. Even if you aren’t, you can find amazing pieces made by the best street artists in all of Norway. 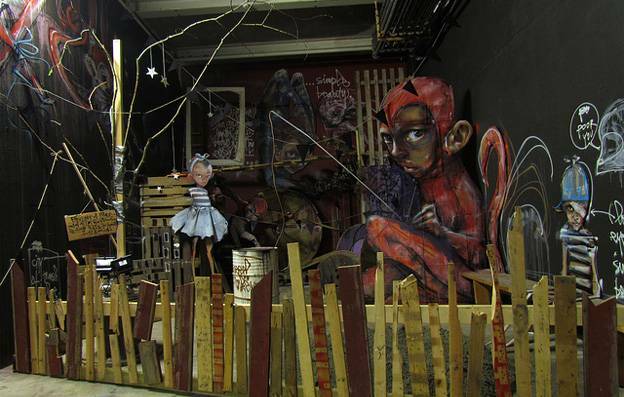 Over 60 street artists attend the Graffiti Fine Art festival held in Sao Paulo. You can see exhibits from amazing street artists, and the entire festival goes on for about a month without stopping. Each year it gets bigger, with more artists and exhibits joining in the fun. While this is mostly an exhibit of great street art, you can get up close and personal with the artists. Most of them love talking about their work, and you can easily talk with them about the piece. 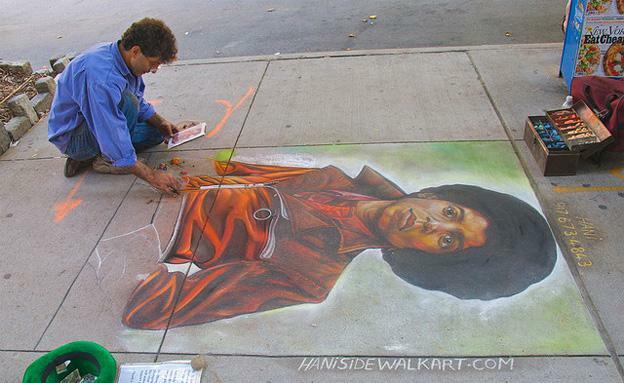 This is a rarity, as most street artists keep themselves shrouded in secrecy. Finding the world’s best street art can be difficult, especially since so much of it is taken down. But, if you are lucky and if you know where to look, then you can find great street art before it is removed. Try out these different cities, and you are sure to see some amazing pieces of work. Denise Hill the author of the world’s best street art, is a blogger for NetQin, keeping you protected no matter where in the world you are. Wow.. Its simply amazing. What a street art.